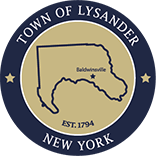 The Town of Lysander has a diverse range of housing options and can accommodate the needs of any current or prospective Town resident. From any number of our smaller housing developments, to larger developments like Radisson, the Town of Lysander can fit any lifestyle. With a wide spectrum of homes and apartments in all different price ranges, families, couples, and individuals alike are guaranteed to find something they’ll love and can call home. Our Town is also a center for development, and you’ll find yourself immersed in a community evolving and growing together for the future. There are projects happening all of the time, like the current construction of a brand new, state of the art YMCA facility. Plan your visit today and come find out for yourself just how beautiful, serene, and welcoming the Town of Lysander is.